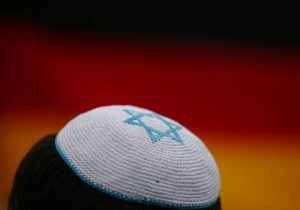 Does said threefold rise in German antisemitism signal a ‘new era’? 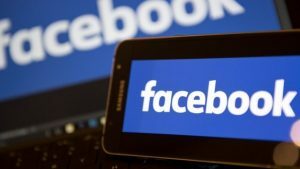 Posted on December 8, 2016 in: Antisemitism, Hate Crimes, Hate Speech|Comments Off on Does said threefold rise in German antisemitism signal a ‘new era’? Top European rabbi warns of “new era of antisemitism” amid said rise in German incidents. The world has entered a new era of antisemitism, a top European rabbi warned in response to a report released Tuesday about rising antisemitism in Germany. Juliane Baer-Henney, a spokeswoman for the German Justice Ministry, confirmed to the Post on the phone Wednesday that antisemitism in Germany has risen threefold in one year – 2,083 cases of attacks on Jews, Jewish property and hate speech against Jews last year, compared with 691 in 2014. Baer-Henney said the criminal statistics are recorded from the 16 German states based on uniform criteria to measure the criminal acts. The Justice Ministry started to assess antisemitic criminal acts based on a uniform standard for the decentralized system in 2014. The 16 states prior to 2014 used different criteria to determine criminal antisemitism. When asked how the Justice Ministry defines modern antisemitism, the spokeswoman said she would provide the Post the information by the week’s end. Dr. Efraim Zuroff, top Nazi-hunter for the Simon Wiesenthal Center, does not believe that the reported numbers reflect the true extent of the phenomenon. “I’m sure there are many incidents that are not reported,” he said, adding that the report is nevertheless cause for serious concern. “There is no question that the arrival of the millions of immigrants from countries where antisemitism is very rife led to additional problems,” Zuroff said. The key to effectively tackling the issue of antisemitism, he said, is tied to the extent to which anti-Zionism is identified as a component. “Invariably, [anti-Zionism] is motivated by antisemitism, and in countries where this is recognized, they understand the nature of the beast,” Zuroff said. He noted that in countries where a link between antisemitism and anti-Zionism is not made, certain incidents are not included in statistics about antisemitic attacks. “In Germany, in certain quarters, there is an understanding of the link between the two, but there is always a time lapse between understanding something and acting on it, and in some of these countries we are in the time lapse now,” Zuroff said. Germany is awash in BDS (boycott, divestment and sanctions) activities targeting the Jewish state. Last week, anti-Israel activists donned inspector uniforms in the city of Bonn and marched into the Galeria Kaufhof department store to isolate “illegal products” from the disputed territories, and ensure Israeli products were labeled correctly based on EU guidelines. Similar anti-Israel actions took place in Frankfurt, Bremen and Berlin. 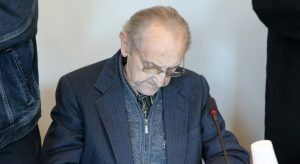 BERLIN — Germany’s trial of a 96-year-old former Nazi medical orderly at the Auschwitz death camp has collapsed, a court spokesman said Thursday. “When this will happen we cannot say yet,” Carl Friedrich Deutsch, a spokesman for the court, said in a statement. Over the last few hearings, a parade of doctors have been quizzed about Zafke’s mental health, reaching contradictory conclusions. Deutsch said the prosecutors had asked three judges to recuse themselves. There was insufficient time to decide whether to grant or reject these requests before the next scheduled hearing next Monday. The charges against Zafke focus on a one-month period in 1944 when 14 trains carrying prisoners — including the teenage diarist Anne Frank — arrived at Auschwitz-Birkenau. Thursday’s announcement marked the end of a case that had been marred by five delays and at times deteriorated into farce, increasingly frustrating victims’ lawyers. The International Auschwitz Committee, which represents Holocaust survivors, had sharply attacked Germany’s handling of the case, saying the court was hurtling “between sloppy ignorance and complete disinterest” in a resolution. 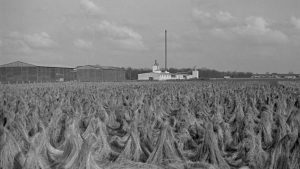 Zafke was the fourth former concentration camp worker in the dock in the latest series of trials, following John Demjanjuk in 2011, Oskar Groening in 2015 and Reinhold Hanning this May — all convicted of complicity in mass murder. Vandals have defaced the Holocaust Memorial in Athens, writing threats against the Jewish community on it. The incident occurred Friday and police were immediately called to the scene, where they took fingerprints and opened an investigation, said Victor Eliezer, the secretary general of the Central Board of Jewish Communities in Greece. The graffiti included a purported quote from the Talmud, saying Jews who convert should be put to death, and threats that the synagogue in Athens would be destroyed. “Regretfully, 70 years after the end of World War II, which left millions of victims of bigotry, racism, Nazism and anti-Semitism behind, there are people beyond redemption aiming at terrorizing us by molesting the memory of our brothers, victims of the Holocaust,” said a statement from the Jewish community issued on Monday. 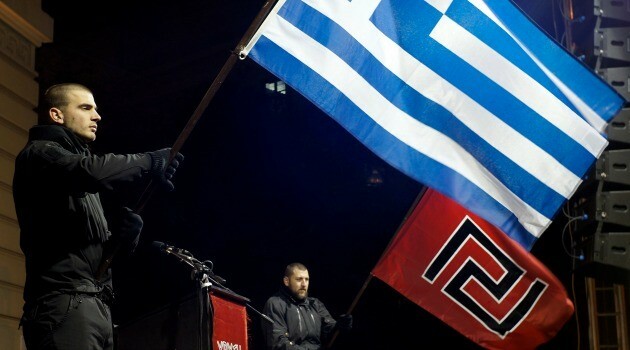 It also follows the release of an Anti-Defamation League survey showing that Greece has Europe’s highest rate of anti-Semitic attitudes, with 69 percent of Greeks espousing anti-Semitic views. That’s nearly twice the rate as the next highest country, France, where the rate was 37 percent. The monument, erected in 2010, commemorates the more than 60,000 Greek Jews who were murdered in the Holocaust. Today only about 5,000 Jews live in Greece. Concern about anti-Semitism in France has been mounting in recent weeks. Earlier this month, the head of France’s Jewish umbrella organization, told a New York audience that French Jews are increasingly threatened by far-right parties, disaffected Arab and Muslim youth, and anti-Israel sentiment. 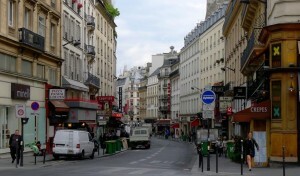 A few days later, a woman yelling anti-Semitic slurs assaulted a Jewish mother and her baby at a Paris bus stop. And a recent survey indicated that almost 75 percent of French Jews were considering emigrating. In July 1934, A. Herenroth, JTA’s Paris correspondent published an essay in three installments detailing the re-emergence of anti-Semitism in France, a problem that the author said had been relatively dormant since the Dreyfus Affair, when a Jewish major was wrongly convicted of treason. Herenroth wrote that anti-Semitic newspapers were proliferating and that while German Jewish refugees — who began arriving after Hitler’s rise to power — had initially been welcomed, they were starting to spur resentment. Numerous French leftists were accusing the new arrivals of trying to drag France into a war with Germany. 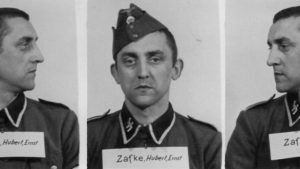 Germany has arrested three men suspected of being former SS guards at the Auschwitz death camp in a series of home raids across three states, prosecutors said on Thursday. The three men remanded in custody on Wednesday were aged 88, 92 and 94 and lived in the south-western state of Baden-Württemberg, said prosecutors in the city of Stuttgart. They are suspected of having participated in murders at the Nazis’ extermination camp in occupied Poland, where more than 1 million people were killed in the second world war. The three elderly men underwent medical tests and then faced a judge who confirmed their fitness to be detained in a prison hospital, prosecutors said in a statement. Further home raids were carried out at three more locations in the state, as well as at other homes in the western states of Hesse and North Rhine-Westphalia.